Peace is a liturgical object that was offered to the faithful kiss and usually has the small form of little aedicula. 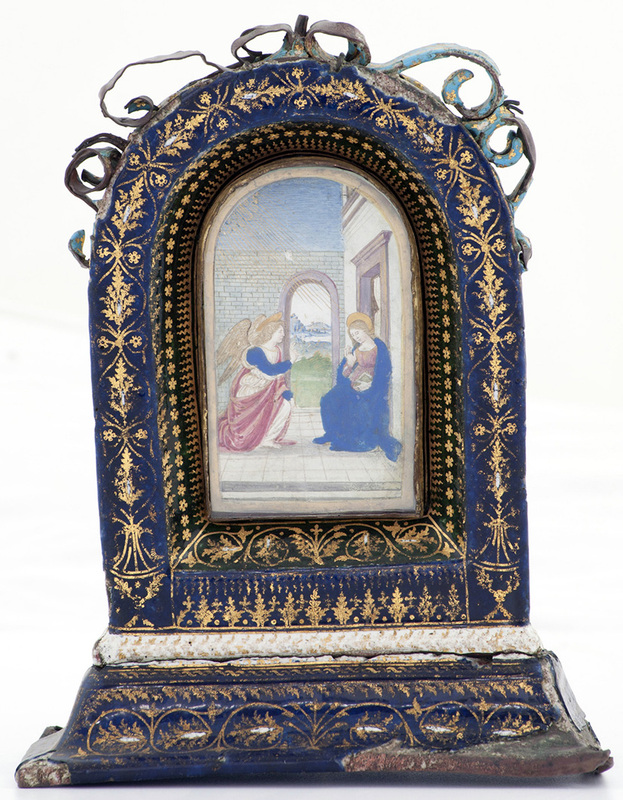 In this case consists of a enamelled frame with gold tendrils and bears within a delicate miniature depicting, on the perspective, the Annunciation. The work can be attributed to an artist working in Central Italy and active in the regions of the Kingdom between the end of 15th century and the beginning of the 16th century.